3M Marine Adhesive Sealant 5200 Fast Cure is a one-component, high-strength, moisture-curing, gap-filling polyurethane for permanent bonding of aluminum, wood, gelcoat and fiberglass. This fast cure version of 5200 is formulated to typically cure within 48 hours. 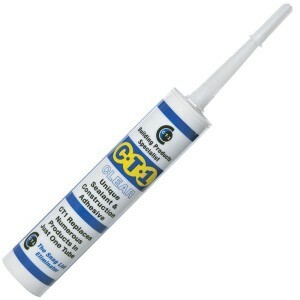 It chemically reacts with moisture to provide strong, flexible bonds above or below the waterline. • Permanent bonding above and below the waterline. • Fast-cure version of 3M Marine Adhesive Sealant 5200. • Tack-free in 1-2 hours and typically cures within 48 hours. • Tough and flexible polyurethane polymer forms strong bonds. 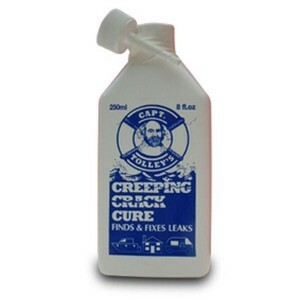 • Capable of retaining strong bonds during vibration, swelling, shrinking or shock. Forming watertight seals, 3M Marine Adhesive Sealant 5200 Fast Cure offers permanent adhesion to wood, gelcoat and fiberglass. 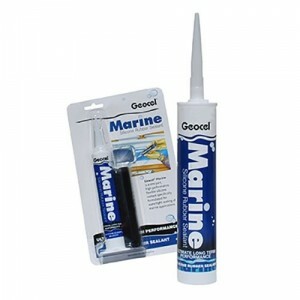 In addition, our marine adhesive sealant is flexible and allows for structural movement and dissipation of stress that may be caused by vibration, swelling, shrinking or shock. • Portholes and deck fittings. • Motors on fiberglass transoms. • Hull seams above and below water line. 3M Marine Adhesive Sealant 5200 Fast Cure is designed to meet the high demands of the marine environment, making it ideal for creating tough bonds above and below the water line. We formulated our sealant to provide an exceptionally strong solution for marine conditions as well as flexibility that combats vibrations, swelling, shrinking or shock. 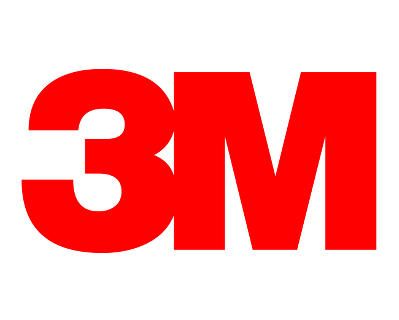 Once again, despite the barriers of a rough marine environment, 3M looked to science to provide a reliable, durable solution. 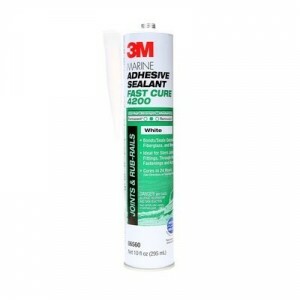 3M Marine Adhesive Sealant 5200 Fast Cure is a part of broad range of adhesive sealants uniquely formulated for the marine market. Designed for reliable performance, 3M Marine Adhesive Sealant 5200 Fast Cure provides the high strength and flexibility for permanent bonding applications.